On food, nutrition and holistic living. 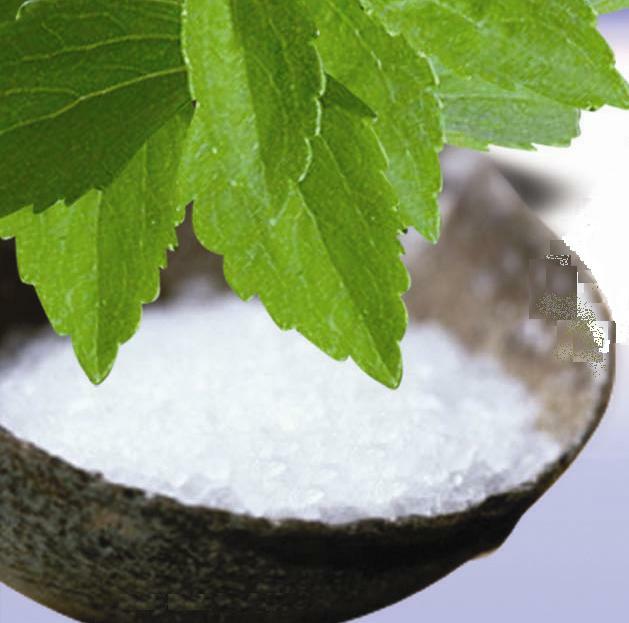 A friend recently told me that she no longer eats conventional processed sugar, but has switched to Stevia. I was very proud of her for making this switch. It wasn’t until later in the conversation that I learned that she isn’t actually crumbling dried green leaves into her tea. She buys her Stevia from Whole Foods. It comes as a white powder, wrapped in convenient serving-size paper packets. I told her that I’m skeptical because this sounds like it’s just as processed as white cane sugar. After all, how do you take a green, leafy herb and turn it into a white powder without significantly altering the biology of the product and therefore impacting how your body synthesizes it? That’s when she retorted, “it’s ORGANIC stevia” with great emphasis on the word “organic.” In other words, she was convinced that this product was good for her and that clearly my insinuation that it’s not good for her was off base. I admit that I’m no expert on stevia, nor the process for turning a green plant into a white powder. But it got me thinking about what the term “organic” really means. I think that a lot of people are misled into believing that all foods that are labeled organic are healthy and that no further questioning of the manufacturer/grower/supplier is required. In my opinion, putting that level of faith into the food producers and the organic food labeling system in the US is naïve and potentially dangerous. That’s why I thought it would be helpful to research the current organic standards and describe what organic does and doesn’t mean – by food type. Bear in mind that the standards change quite often, so this post only talks about what’s current as of today (March 2012). So that this post isn’t too long, I’m going to start with the two easiest examples because they’re the least industrially processed foods: fresh and frozen produce and wine. Then in my next post I’ll talk about meat, eggs and dairy. And finally, I’ll end with processed/packaged foods and come back to stevia powder. So far, so good. 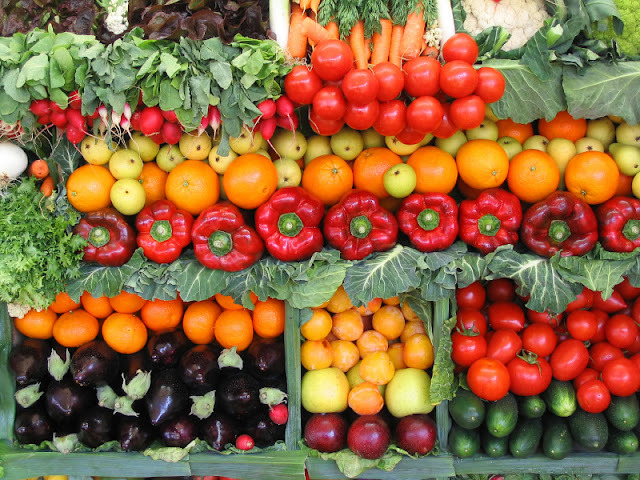 Now let’s take a look at specific types of foods and see what organic really means for them. The first thing I think most of us assume about organic produce is that it’s grown without pesticides. That’s not entirely true. Sure, some farms use primarily mechanical, physical or biological pest control techniques, like soil tillage, mowing, mulching, adding ladybugs, removing insect larvae by hand, etc. But naturally derived chemical pesticides are often used as well. The term “naturally derived” sure sounds safe and non-controversial, doesn’t it? Well it’s not necessarily. According to Wikipedia, Rotenone and Pyrethrum are particularly controversial naturally derived (and Organic-compliant) insecticides because they work by attacking the nervous system, like many conventional insecticides. If your goal is to avoid dangerous chemicals, you should still ask your producer or supplier exactly which pest management methods and pesticides they use. Or grow your own. Fertilization practices is another important aspect of organic farming. As I discussed in my blog post “Terroir of the Turnip,” the actual nutrient content of a given fruit or vegetable depends heavily on what’s in the soil and may be far different from the nutrient content that the USDA tells us that plant contains. 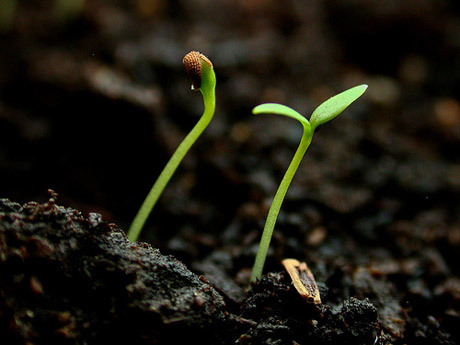 The organic standard says that soil fertility be managed through cultivation practices, tillage, crop rotations, cover crops and through the addition of supplements such as animal and crop waste materials and certain allowed natural and synthetic materials. Ok, but there’s still a ton of leeway in there. One grower might use the bare minimum fertilization required to grow a healthy-looking crop while another grower might go to great lengths to produce a highly nutritious and flavorful crop by using special soil amendments or better yet, doing what the best winemakers in the world do and locating their farms on plots of land where the soil is naturally rich in nutrients. If you care about the nutrient quality of your produce, then ask the grower what specific techniques they use to manage soil fertility and which soil amendments they add. I’ve found that some of the non-certified organic growers at my farmers market take soil fertility a lot more seriously than most organic growers. (The reason their products aren’t labeled as organic is because of the high, one-size-fits-all cost of organic certification). If you don’t have access to the grower, then listen to your tastebuds. 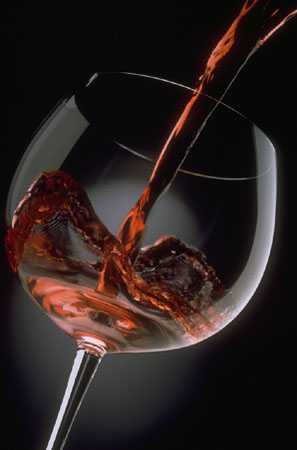 As wine aficionado’s know, the human tongue is one of the best nutrient detection instruments on the planet. 4/2/13 Update: It has come to my attention, thanks to an action alert put out by the Center for Food Safety, that “Tetracycline and streptomycin, two antibiotics commonly used to treat human and animal infections, are being sprayed by organic apple and pear growers to prevent the spread of a costly disease called fire blight, which stifles new growth and kills trees. Unfortunately, tetracycline and streptomycin have become the treatment methods of choice for controlling fire blight, despite the fact that antibiotic use goes against the principles of organic that consumers expect.” I am adding this to my post because it’s a good example of why we consumers need to still be extremely cautious about foods that bear the “organic” label. Use of genetically modified organisms (GMOs) in agriculture started to become commonplace in the mid 1990s. (A good source of information about GMOs and why many people are trying to avoid them is the Institute for Responsible Technology). Since then, the organic standards began to incorporate non-GMO clauses and today, the organic standard does not allow for the use of genetically modified plants or animals. The challenge, however, is that the standard doesn’t mandate testing to validate that the crop hasn’t been contaminated by GMOs. Unfortunately this is a big threat to organic foods because contamination can happen so easily (and is happening at an alarming rate, as is evidenced by the lawsuits that Monsanto is filing against farmers whose crops contain Monsanto’s patented genes, yet aren’t paying fees to Monsanto for their use). A gust of wind merely has to pick up a seed and carry it from a non-organic field to an organic field, where it can grow and multiply. How can the organic farmer know that this happened without testing? Hopefully the organic standard will eventually be adapted to address this risk, or better yet, we will finally do as Europe has done and adopt GMO labeling requirements in this country. In the meantime, if your goal is to avoid GMOs, I find this Non-GMO Shopping Guide to be quite helpful. For wine to be labeled as organic, it needs to be made from organically grown grapes and there should not be any sulfites added. The reason they’re added to 99% of wines in the US is because sulfites are an excellent, flavor-neutral preservative, slowing the oxidation of wine so that it stays fresher, longer. Naturally occurring sulfates in wine do still form (you would get vinegar otherwise), but wines labeled as organic must have less than 10 parts per million (PPM) sulfite content. Many wines instead are labeled as “Made with Organic Grapes.” This means that synthetic sulfites were added during the winemaking process, but not more than 100ppm. There’s a lot of debate over whether sulfites are dangerous or not. I don’t know much about this topic, except that many people have allergy-type reactions to sulfites. Thanks to pressure from the wine industry, the National Organic Standards Board (NOSB) came very close to changing the standard and allowing wines that are made with organic grapes, but with the addition of sulfites, to still be labeled organic. Luckily for consumers, this was voted down in late 2011. So you can rest assured that wine bearing the USDA organic seal today is made without added sulfites and contain less than 10ppm of naturally occurring sulfites. In my next post, I’ll talk about what organic means for meat, eggs and dairy. See this post and others like it here: Healthy Home Economist, Hartke is Online, RealFoodForager, Mind Body and Sole and FoodRenegade. This entry was posted in nutrition, organic. I’ve been eating oralnicalgy for 2+ years now and I can tell you that yes, the food tastes better, remarkably so. Just a few examples from my diet. Before going organic’ I had had to give up pizza, really anything with tomato sauce. I could not eat bananas, milk or ice cream, just to name a few things. I would get heart burn, indigestion, etc. After going organic(natural) we both can enjoy pizza again! It’s great. I’m eating organic bananas, no problems! We get raw milk so no more problems there, and can make our own ice cream, delicious! Chocolate tastes better, the cereal and breads have a more robust flavor.Now, we are sticklers and label readers, you have to be, there are many companies out there that are unscrupulous. I DO NOT buy anything organic’ in a can. They have to be kidding me!! I generally do not purchase food from publicly traded companies. (Meaning the brand name stuff) I stick with the little producers, and usually local. We also make many items folks buy in stores. Jams, jelly, cookies, peanut butter, butter all can be made at home.One other great thing about eating oralnicalgy, you’re actually getting the nutrition your body needs out of the food(whole foods) so you eat less! What a great plus.Again, folks have to be careful, especially shopping at the Kroger, Farmer Jacks, where ever be selective, read labels, ask questions. Right now 60% of the food at the grocery store contains GMO’s. The American people need to do what you’re doing, study what you eat. Investigate. You’ll be glad you did. Why Europe Cares More About GMO’s Than The U.S.
Why Consider Giving Birth Outside a Hospital? Shame on you, Dr. Oz! Here’s how to *really* eat healthy on a budget. Are You Unknowingly Eating Spoiled Foods? Dietary Supplements, Worth the Risk?